Mini Rings of Change is a round baby blanket (approx. 40″/101 cm if you use worsted weight and a J/6 mm hook) or a doily if you use thread and thinner hook. I love this pattern, because it gives you a lot of space for your own innovation and will look amazing no matter whether it is plain or very colorful. Don’t believe it? 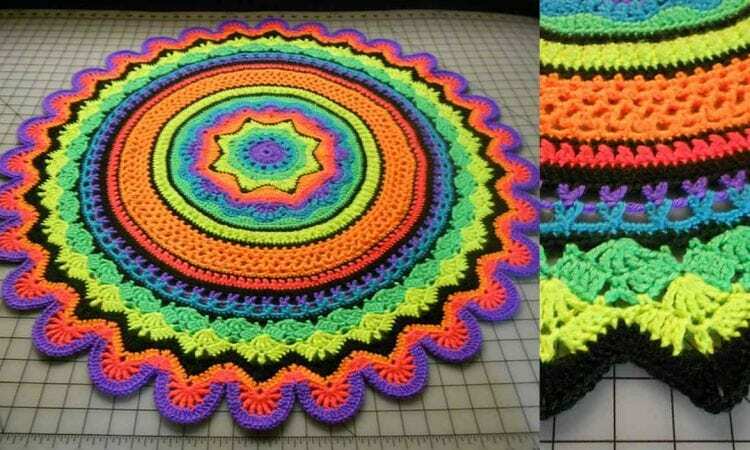 See the prettiest realizations of this pattern. The link to the pattern is below. More info about projects: Knittinghoneybee / Suvi Geary.